Sometimes when the spring beans are created developers need to perform the initialization and the cleanup operations before the bean is destroyed. To achieve this, we can use the InitializingBean and the DisposableBean interfaces in the spring model classes. 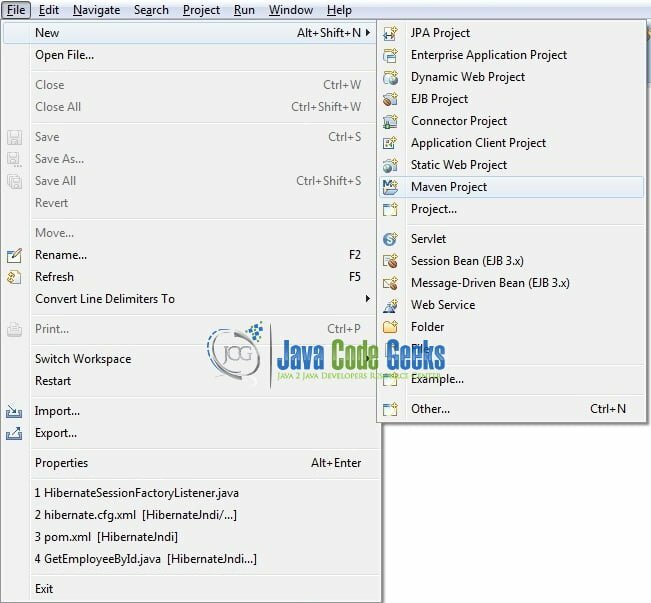 This tutorial will explore these callback interfaces to briefly understand the initialization and destruction process in the spring framework. Spring bean is responsible for managing the lifecycle of beans created through the spring container. The bean lifecycle consists of post-initialization and pre-destruction callback methods. The following flowchart diagram illustrates the bean lifecycle diagram. Now, open the Eclipse IDE and let us see how to implement these callback interfaces in the spring framework! We can start adding the dependencies that developers want like Spring Core, Spring Context etc. Let us start building the application! We have a simple Person bean with one attribute and implements the InitializingBean and DisposableBean interfaces. Add the following code to the bean definition. 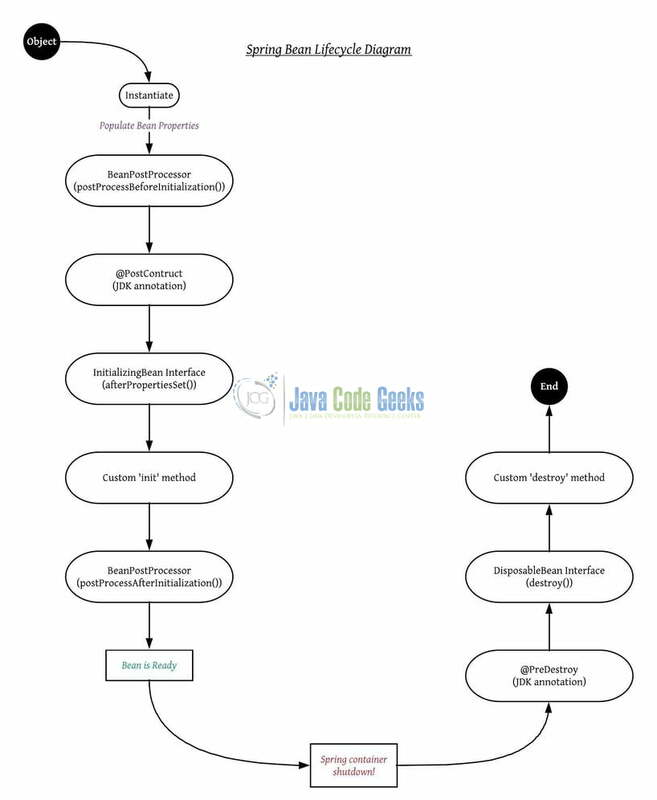 Add the following code to the implementation class for testing the lifecycle of a spring bean. // Reading configuration from the spring configuration file. Add the following code to the spring configuration file for injecting the properties of the bean. 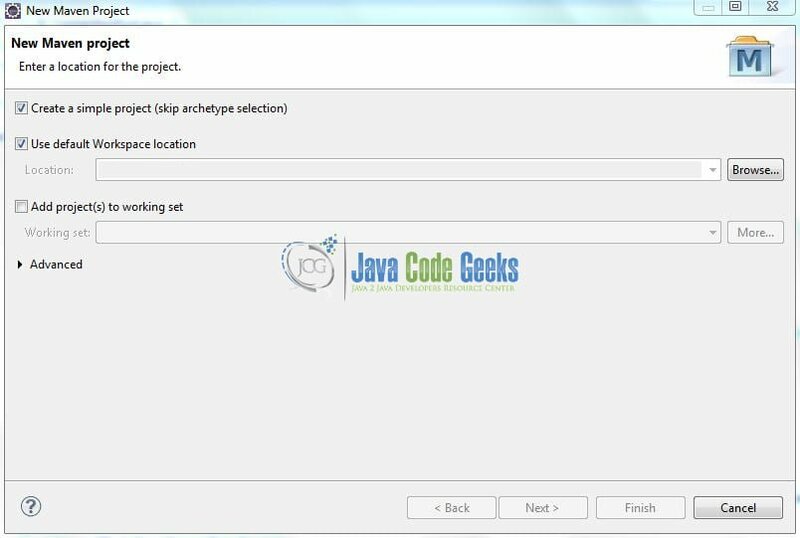 To execute the application, right click on the Demoapp class, Run As -> Java Application. Developers can debug the example and see what happens after every step. Enjoy! The code shows the following log as the output of this tutorial. Constructor of person bean is invoked! Initializing method of person bean is invoked! Destroy method of person bean is invoked! 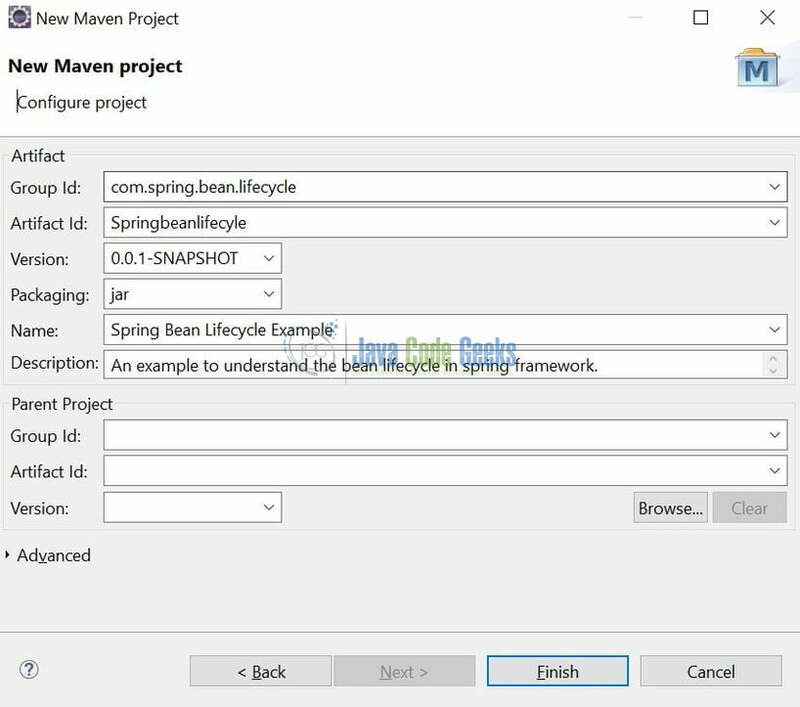 This post defines the initialization and destruction of a spring bean and helps developers understand the basic configuration required to achieve this. Developers can download the sample application as an Eclipse project in the Downloads section. This was an example of spring bean lifecycle for beginners.